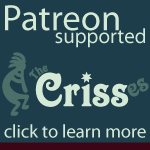 If you'd like to have your own sub-site, please contact The Crisses and we can help you get set up with your own section, your own section edit password, and the documentation on how to use PmWiki (the wiki this site is using, which is both straightforward on the author/editor side, and actually has some pretty robust admin tools that authors/editors can use on the page-editing side of things). What can you do with your sub-site? You can lock people out of being able to read your sub-site area, you can password-protect individual pages from being viewed by the public, or you can put only public content up. Although in its early incarnations (this site started on AOL under something like ~ittermann209 on AOL in 1996 — don't ask us to remember and the Internet Archive doesn't go back that far) it did move a couple times, but Kinhost.org is now a permanent address and fixture on the web for as long as we, and the community, can support it. So this is a great and free way to have your own "website" within the community without having to give a credit card to any web hosting organization or have a domain name registered and thus be traceable back to your actual identity. What do we require for you to have a sub-site? Patience since we'll have to help you out, some knowledge that you're a real/sincere multiple and that we don't have to worry about you being something else. Our website support/training videos on our business site - a bunch of short YouTube video links for how to edit and create pages. Note: you will only be working on pages in your own sub-site so it will be SystemName/HomePage and SystemName/AboutUs etc. So you won't be starting new groups, just new pages within your own wiki group. And if you want to, you can make a sidebar for your sub-site that will go before the site sidebar by editing the SystemName/SideBar page. Use * bullets for the link buttons in the sidebar and !! headings for subsection headers.